Whether you are planning to take a splash in the crystal-clear waters of Belize or are looking to enjoy the Spanish-inspired colonial architecture of Mexico City, New Hampshire residents are spending their last weeks of summer traversing tourist destinations far and wide. While no one expects a life-threatening accident to occur when they are on a vacation, the Insurance Center urges families to consider buying life insurance because tragedy can strike when it is least expected. 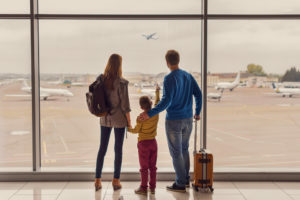 The summer months can be worrisome for families because it is the most popular time of year for vacations and the likeliest time someone will engage in risky activities, according to insurance industry experts. From taking part in scuba diving sessions to riding amusement park rides to leaving the protection of resorts, Sammon says individuals can be at a heightened risk for injuries simply because they are in riskier situations more often. Statistics from the U.S. State Department show these concerns are well founded. The federal office found that 843 Americans died abroad from non-natural causes in 2016 alone. The majority of those deaths resulted from drowning with car accidents following closely behind. Whole life is the most popular cash value life insurance option. The payment length and total death benefit will vary by policy, but whole life usually contains a cash value stipulation that lets policyholders draw cash after a specific set of years. Term life is the most popular life insurance policy. This insurance type pays a benefit to policy beneficiaries as long as the death occurred during the policy term. Unlike whole life, term life policies must be renewed and does not typically include a cash value. You could also consider universal life, which is a policy that falls under whole life. This product is an adjustable life insurance policy that allows policyholders to vary the premium payment within certain limits by the insurer and the tax code. Variable life is another permanent life insurance that ties the cash value of policies to the investment performance of one or more sub-accounts. Before heading off to your next adventure, the Insurance Center encourages families to carefully review life insurance policies that are designed to keep households financially secure in the event of a tragedy. If you have questions about the right life insurance policy for you, call one of our locations to speak with an agent.